Healthy mobile joints are important to keep fit and active. Nectar Ease is a dietary supplement that contains natural ingredients designed to put a spring in your step naturally. Be healthy, mobile, and support missions at the same time. Selling products from our faithful partners is one way we endeavour to fund our mission without only asking for donations. Thanks for your support. Postage & packaging (shipping) for all our honey products is: $5 for one item; $10 for two or three items; $15 for four items; $20 for 5 or six items. etc. Or pick up in Hamilton (only). Please call or email us to arrange. Thank you. Bee Venom supports the body’s natural production of cartilage and may assist in maintaining healthy joints. No bees are harmed in the bee venom collection process, to find out more click here. Reduce dosage if side effects develop. Allergy sufferers should seek medical advice prior to use. One teaspoon contains less than one bee sting. 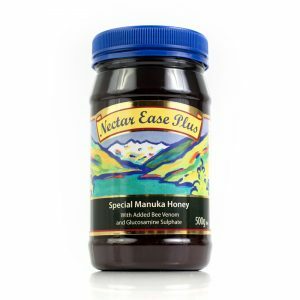 We recommend you start with 1/4 teaspoon per day and gradually increase to 1-2 teaspoons per day as required. Nectar Ease contains the same natural combination of ingredients as used in the Nectar Ease Capsules; Manuka Honey and Bee Venom. 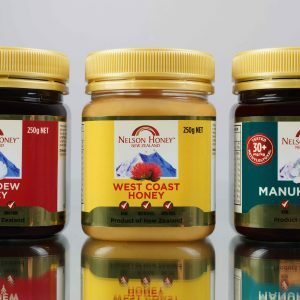 By purchasing these world class honeys we hope you will be thoroughly satisfied with the products, and deeply satisfied by how the profits are reaching the nations for Jesus. Selling products from our faithful partners is one way we endeavour to fund our mission without only asking people to donate. 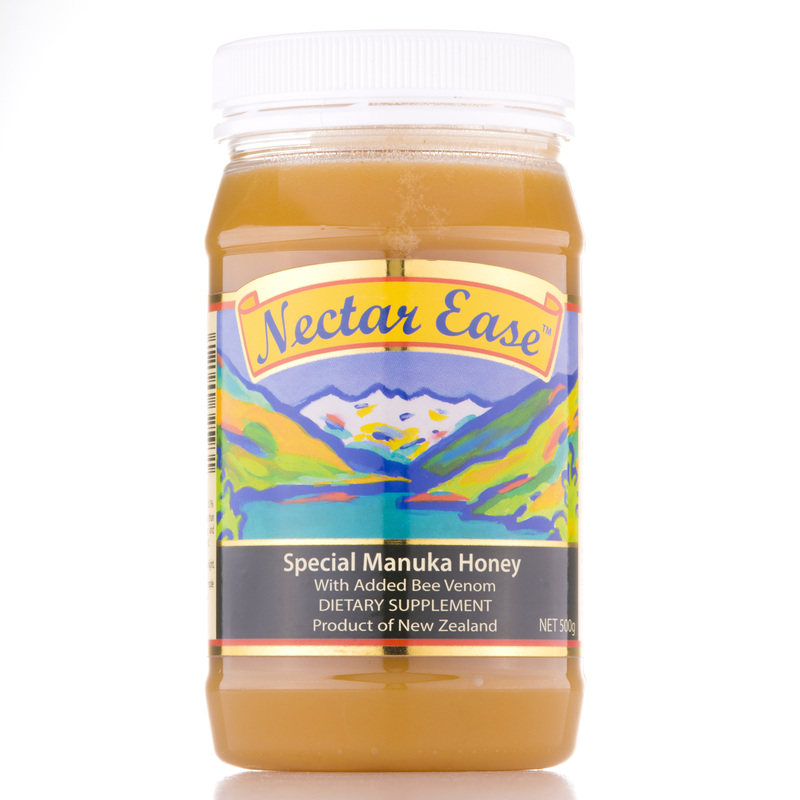 Nelson Honey endorses these sales for the purpose of supporting FEBC.